Any player can target any other damaged player with this card. 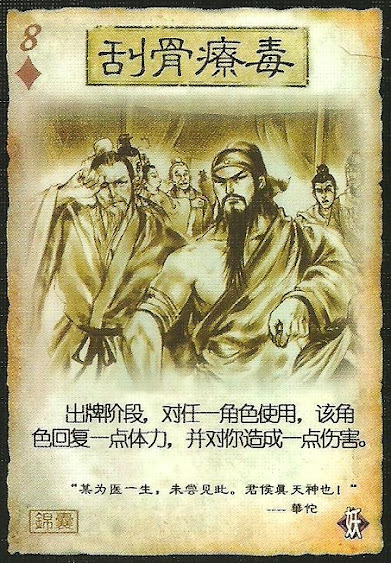 The target is healed and the player that used this card loses one health. This is similar to Sun Shang Xiang's "Marriage". This card cannot be used on someone that is at full health. A player can kill themself with this card. This cannot be used to save someone from the brink of death. When used, it causes the source to lose health and not take damage. This means that damage activated powers do not go into effect.